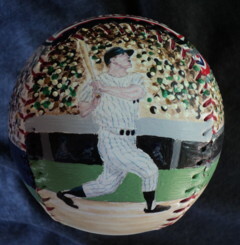 This Legends Hand Painted 500 Home Runs baseball features four of my original paintings. 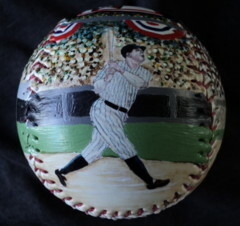 Side one is my painting of Babe Ruth who hit 714 home runs. Click here for a closer look. 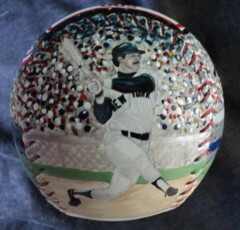 Side two has my painting of Reggie Jackson who hit 563 home runs. Click here for a closer look. 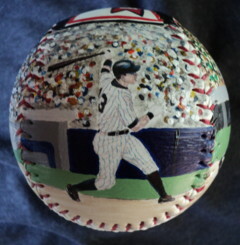 Side three has my action painting of Alex Rodriguez who currently has 647 home runs. 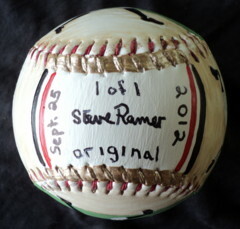 Click here for a closer look. 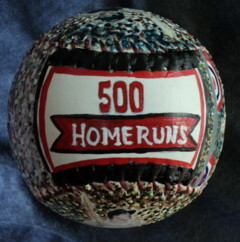 Side five, which is the top of the baseball, has has my hand painted "500 HOME RUNS".